The Bolivarian Republic of Venezuela is located on the northern coast of South America. It borders Colombia to the west, Guyana to the east, and Brazil to the south. Its roughly 2,800 kilometres (1,700 mi) northern coastline includes numerous islands in the Caribbean Sea, and in the northeast borders the northern Atlantic Ocean. Caribbean islands such as Trinidad and Tobago, Grenada, Curaçao, Aruba and the Leeward Antilles lie near the Venezuelan coast. The total area of the country is 916,445 km2 (353,841 square miles). The estimated population of Venezuela in July 2009 was 26,814,843. According to estimates, some 60% of the population are Mestizo, defined as a mixture of European and Amerindian; approximately 30% are European, mostly of Spanish, Italian, Portuguese, Lebanese, and German descent. Other important groups include Afro-Venezuelans, Asians, and members of indigenous tribes (about 1% of the population). Unlike a number of other South American countries, Venezuela has never been colonized by any Mennonite group. The Brethren in Christ Church has carried out mission work in Venezuela since 1945. The Eastern Mennonite Board of Missions and Charities (MC) sent the José Santiago family to Caracas in November 1978 to establish new fellowships of believers. The first congregation was organized in 1979 with 32 believers. Eventually, the Concilio de las Iglesias Evangélicas Menonitas en Venezuela (Council of Mennonite Evangelical Churches in Venezuela) was formed. In 1980 the Evangelical Mennonite Church (now Fellowship of Evangelical Churches) began missionary work in Venezuela. In 1990 the Pacific Grace MB Church in Vancouver began doing mission work with Chinese immigrants in Venezuela. The church sent associate pastor Miller Zhuang to Venezuela, eventually establishing two congregations. Mennonite World Conference. "2000 Caribbean, Central & South America Mennonite & Brethren in Christ Churches." Web. 11 November 2010. http://www.mwc-cmm.org/Directory/2000carcsam.html. [Broken Link]. Mennonite World Conference. "2003 Caribbean, Central & South America Mennonite & Brethren in Christ Churches." Web. 11 November 2010. http://www.mwc-cmm.org/Directory/2003carcsam.html. [Broken Link]. Mennonite World Conference. "Mennonite and Brethren in Christ Churches Worldwide, 2009: Latin America & The Caribbean." 2010. Web. 8 November 2010. http://www.mwc-cmm.org/en15/files/Members 2009/Latin America & the Caribbean Summary.doc. [Broken Link]. Wikipedia. "Venezuela." Web. 10 November 2010. http://en.wikipedia.org/wiki/Venezuela. Thiessen, Richard D. "Venezuela." Global Anabaptist Mennonite Encyclopedia Online. May 2014. Web. 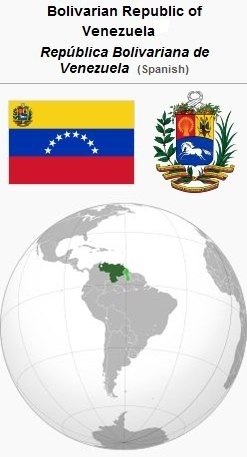 21 Apr 2019. http://gameo.org/index.php?title=Venezuela&oldid=133283. Thiessen, Richard D. (May 2014). Venezuela. Global Anabaptist Mennonite Encyclopedia Online. Retrieved 21 April 2019, from http://gameo.org/index.php?title=Venezuela&oldid=133283. This page was last modified on 18 January 2016, at 17:12.